The 3i1813-7RNE Range Mixer Case is the ideal waterproof case to transport your Range MP2015 or the Sixty-Four mixer when traveling to a club that already has turntables or cd controllers. The custom cut foam interior provides a tear away section to accommodate either mixer. The case has been designed with storage under the mixer for cables and the power supply. 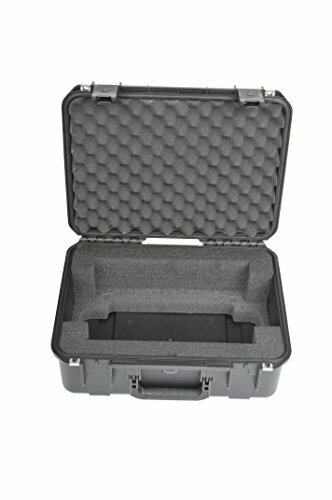 The iSeries 1813-7RNE Range Mixer Case is backed by SKB’s Unconditional Lifetime Warranty. About our iSeries SKB’s iSeries injection molded waterproof cases are constructed of ultra high-strength polypropylene copolymer resin and feature a gasketed, waterproof, submersible design (IP67) that is resistant to corrosion and impact damage. Its molded-in hinges, "trigger release" latching system that will accommodate retrofitted TSA locking latches, comfortable, snap-down rubber over-molded cushion grip handle, secure stacking, and automatic ambient pressure equalization valve (MIL-STD-648C) all contribute to its military grade design. Stainless steel locking loops will accommodate SKB’s TSA Combination locks as well.